2. Well, this one is technically not an award. It’s more of an accomplishment. 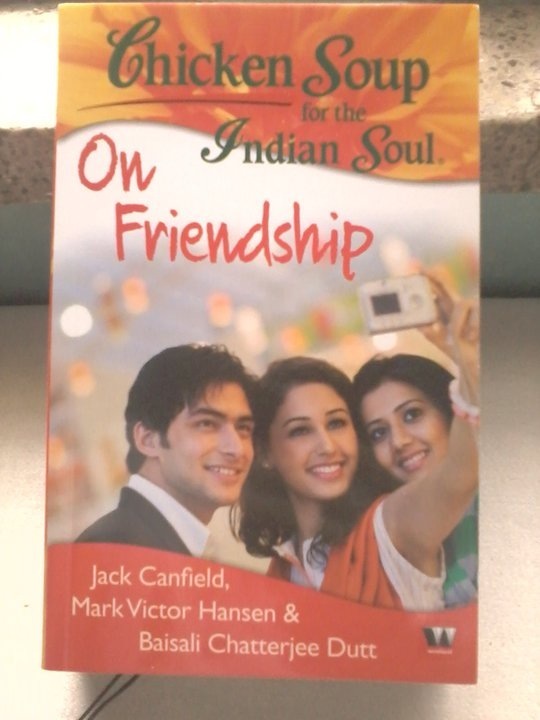 Two of my stories have been published for the ‘Chicken Soup for the Indian Friend Soul’ and “Chicken Soup for the Indian Soul: Celebrating Brothers and Sisters” series. Update: Here’s the link for the book on Flipkart. Buy, buy. buy! 3. My posts‘Mad about Ryan’ , ‘Table for Two’ ,‘The Thing about ONLY eating Green’ , A Religion called Cricket , Introducing the iWife and Two is a big number have been selected for BlogAdda’s ‘Spicy Saturday Picks’ and ‘Tangy Tuesday’ picks. Thank you,BlogAdda ! 4. If hard work doesn’t get you the reward, then try spamming some inboxes. Believe me it works. After months of emailing poor,unsuspecting editors of a zillion Singaporean magazines, finally oh finally, someone replies back and agrees to publish my ‘literary genius’ on their magazine. I have a Facebook fan page which is starting to show signs of dehydration in terms of fan count. So if any of my kind readers would do me the favour of going and liking my page, ‘ppreciate it a lot! I need a like button now. Congrats chechi.